Late last week the participants in the 12th Japan Fashion Week were announced, and I’m excited to see gothic and gyaru brands up there amongst the other designers. 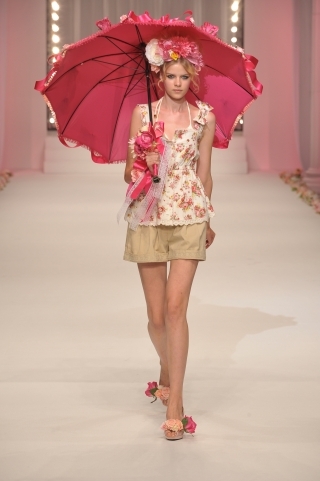 (See my post on the highlights of SS 2010 Japan Fashion Week here). What are some of the brands we can look forward to seeing, at least in association with JFW? I’m so pleased that h. Naoto is back! (See my post on Naoto’s Goth night & collection last August) His various labels are favourites of mine owing to the gothic aesthetic, but I feel he really pushes the envelope when he has a collection to present as part of JFW. 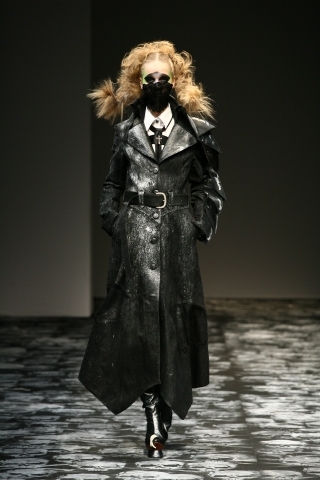 Likewise, his catwalk shows are dark & moody, with a mysterious vibe that casts a spell over the viewer. I already own a lot of his clothing, and am keen to grab some from the newest collection too. Gyaru brands Vanquish and Liz Lisa will also show. Overall it’s a bit pretty-pretty for me so far, and I wasn’t fond of the pink/brown colour scheme of the last season, but we’ll see what 2011 AW holds. LL is certainly a huge fave amongst gals, and yet despite being a “popular” brand, is appearing at Fashion Week. Here’s a few shots from the 2011 Spring/Summer show. There was a definite baltic folkloric element to the last collection, partly in line with the Russian princess trend, and possibly also the influence of Dolly Kei? Whatever the origin, I’m intrigued by the layering, the ethnic opulence, the luxurious wearability of Soon’s pieces, and am keen to see more. See more from Ono here, the UK online shop, or the online Japanese Motonari Ono shop here. Which ones would you most like to see? Cute! Jackets I love this weeks. Heh, it’s kind of spooky gothic bo peep, no?